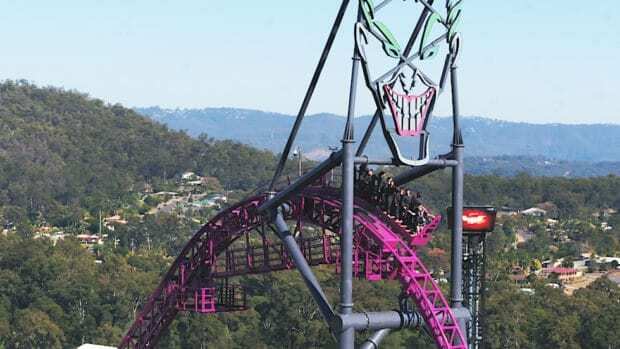 Guests visiting Warner Bros. Movie World in Queensland, Australia can now climb the tallest HyperCoaster in the Southern Hemisphere. Would you be brave enough to scale 200 feet in the air? 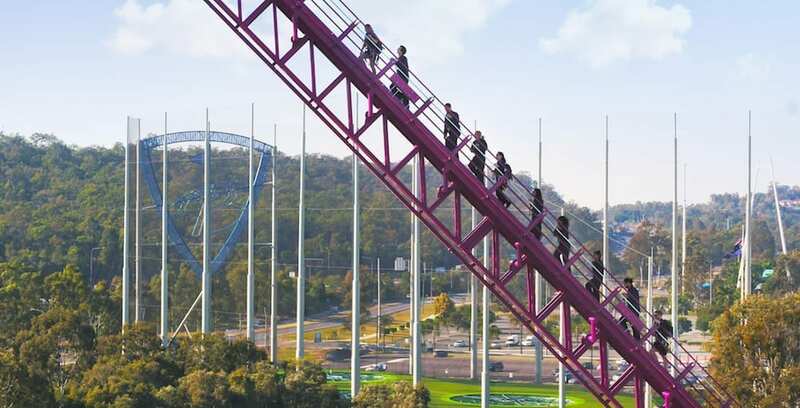 Launching this weekend, the DC Rivals HyperCoaster Lift Climb features 282 stairs, as guests climb 61 meters, or just over 200 feet, to the top of the attraction and take in the sights of this ride. This Lift Climb is an exclusive experience that’s limited to only eight guests per session, led by a member of the operations team. They will offer information about the attraction to guests throughout the duration of the clumb. “The launch of the DC Rivals HyperCoaster Lift Climb also coincides with the first birthday of the attraction, and we have been thrilled with the guest feedback on the ride and can’t wait for them to participate in this new experience,” said Randhawa. The DC Rivals HyperCoaster Lift Climb will operate on selected days and includes refreshments and morning tea for $99.99 per person. To learn more about other offerings at Warner Bros. Movie World, visit MovieWorld.com.au. Filed Under: Slider, Theme Parks Tagged With: Australia, comics, DC, DC comics, DC Rivals, DC Rivals HyperCoaster, featured, Hypercoaster, lift climb, Movies, queensland, roller coaster, roller coasters, Theme Parks, warner bros movie world, Warner Bros.